BOCH Aviation offers today's savvy business traveler a simple proposition: Cover much more ground than the competition. In far greater comfort. Without spending more money. If this sounds sensible to you, BOCH Jet was made to fit your mission. 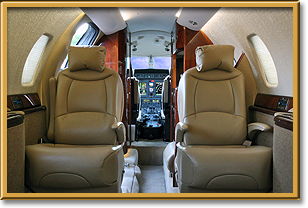 With coast-to-coast range, impressive speed, outstanding short-field performance and the largest double-club cabin available in its class, it dramatically redefines what a midsize jet can do. This remarkable aircraft can range nearly 3,300 statute miles (5,273 km) nonstop. 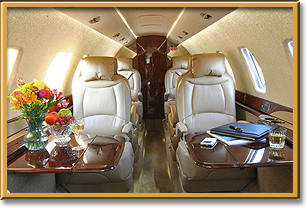 By every measure, BOCH Jet is more airplane for your money than any other midsize business jet ever built. BOCH Jet will take off from runways as short as 3,640 feet (1,109 m), climb directly to 43,000 feet (13,106 m) in just 23 minutes and cruise at speeds up to 458 knots (848 km/hr). With its 68 inches (1.73 m) of stand-up room that goes the full length of the more than 25-foot (7.7 m) cabin, and its biggest-in-category baggage area, BOCH Jet enables you to take more people, with more baggage, to more places.